Arizona is TravelQuest’s backyard, and there’s no mystery why: beneath our vast, clear skies you find some of most exciting astronomical destinations in the world. 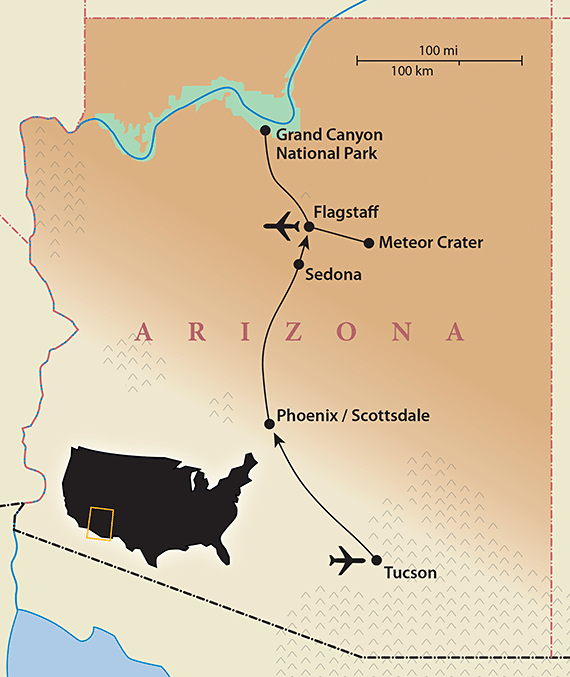 Join us in May 2019 as we partner with Astronomy magazine on a nine-day journey from Tucson to Flagstaff that we’ve called Arizona Skies. We want to share the beauty of our desert home, from its landscapes dotted with cacti to the incredible expanse of stars overhead. Guided by your expert trip leader, and Astronomy editor Michael Bakich, we can also take you behind the scenes at some of our region’s greatest astronomical landmarks, including the Kitt Peak National Observatory, the magnificent Barringer Meteor Crater, the Steward Observatory Mirror Laboratory at the University of Arizona – and, of course, historic Lowell Observatory. Timed to coincide with the new Moon, our unique itinerary includes specially arranged stargazing sessions in Sonoran Desert locations. 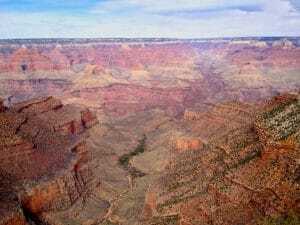 Add in the stunning Grand Canyon and the red-rock formations around Sedona, and you have a Southwest adventure designed for sky watchers of every level of expertise and interest. Your TravelQuest trip leader has been fascinated with the stars since the third grade, when his parents bought him a set of flash cards describing the constellations. From that day forward, Michael Bakich’s goal was to become an astronomer. Michael realized his dream in 1975, when he graduated from Ohio State University with a degree in astronomy. He continued his studies at Michigan State University, and in 1977 earned a Master of Arts in planetarium education – one of only a half-dozen such degrees ever awarded. A senior editor with Astronomy magazine, Michael has written several books for Cambridge University Press and other publishers. His most recent, Your Guide to the 2017 Total Solar Eclipse (Springer Publishing) uses the landmark U.S. event as the starting point for a detailed exploration of eclipses in general. Michael brings a wealth of knowledge – and a passion for all things astronomical – to your Arizona Skies journey. We have limited space on this special trip, so make your plans today! Your astronomical tour of the Southwest begins in Tucson, where our TravelQuest representative greets you at the international airport (code: TUS) and arranges the quick transfer to our home for the next four nights: a hacienda-style resort and spa on the edge of the Sonoran Desert. 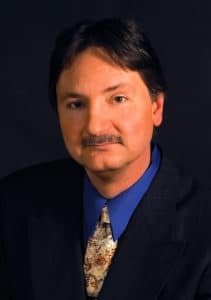 In the evening, join your fellow travelers and astronomer Michael Bakich for a welcome dinner. Your morning begins with a drive through historic Tucson, including the Barrio Historico and Old Town Artisans. One of the highlights is our visit to the majestic Mission of San Xavier del Bac, the “White Dove of the Desert,” with its Moorish-inspired white stucco exterior and ornate entrance. 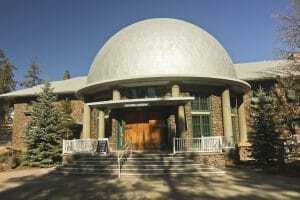 In the evening we visit Kitt Peak National Observatory for a special dinner, followed by a private tour and stargazing. Founded in 1958, the observatory has three major telescopes and provides facilities for another 22 optical and two radio telescopes. A leading global site for nighttime optical and infrared astronomy, as well as daytime study of the Sun, Kitt Peak shares its mountaintop setting with the National Solar Observatory. This morning we visit the Richard F. Caris Mirror Laboratory at the University of Arizona, where a team of scientists and engineers is creating giant lightweight mirrors for a new generation of optical telescopes. These are not the conventional solid-glass mirrors of the past. The borosilicate glass is melted and spun-cast in a custom-designed rotating oven to yield a unique honeycomb structure that can be larger and lighter than traditional solid-glass mirrors. In the afternoon, enjoy swimming, sunning and spa time at our relaxing resort hotel. Then join us for a barbecue dinner at a local ranch, capped by a stargazing demonstration with trip astronomer Michael Bakich. 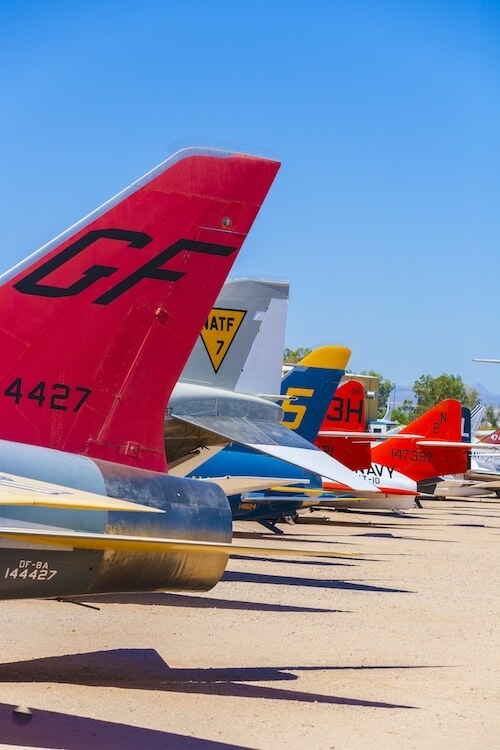 Founded to preserve the history of aviation in the U.S., the Pima Air & Space Museum is home to a wide variety of historic aircraft, from an original Wright Flyer to a Boeing 787 Dreamliner. The museum also features a gallery devoted to space exploration, with replicas of key vessels. Your visit includes a guided “Boneyard” tour aka the 309TH Aerospace Maintenance and Regeneration Group (AMARG) in a climate-controlled tram around the 80-acre site – a great way to take in the incredible array of aircraft. After dinner on your own, join our friends from the Tucson Amateur Astronomy Association – founded in 1954 – for great stargazing in the Arizona night sky. 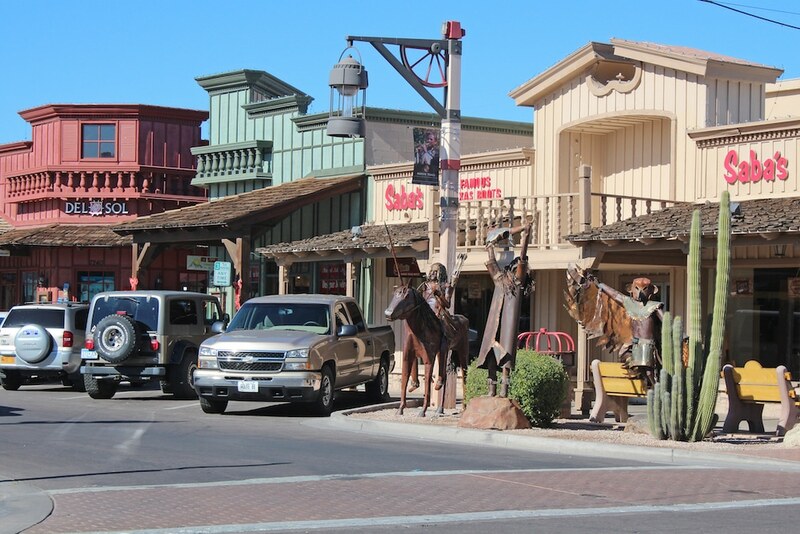 After a tour of Phoenix showcasing the Arizona State Capitol and the Arizona Biltmore Hotel – designed by Frank Lloyd Wright – we explore Old Town Scottsdale, whose highlights include the historic Post Office, the Little Red Schoolhouse and the private Pullman railroad car designed for polar explorer Roald Amundsen. After the formal tour, enjoy exploring this vibrant old neighborhood on your own. In the evening, join us for dinner and a special talk by renowned astronomer Jeff Hester. After earning his doctorate in Space Physics and Astronomy from Rice University, Jeff headed west to the California Institute of Technology – Caltech – where he joined the team responsible for the Hubble Space Telescope Wide Field and Planetary Camera. In his remarkable career, Jeff had had a front-row seat for some of the most extraordinary events in the history of science. His iconic Hubble image, “The Pillars of Creation,” has been featured on a U.S. postage stamp and in 2012 was selected by Time magazine as one of the 100 most influential photographs in history. This morning we tour the Arizona State University Center for Meteorite Studies, home to one of the world’s largest meteorite collections: over 30,000 individual specimens representing more than 2,000 distinct meteorite falls and finds. The collection is actively used for geological, planetary and space science research at the university and throughout the world. 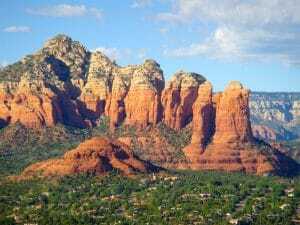 Next, we venture into the red-rock country around Sedona. As we journey through the Valley of the Sun, the Sonoran Desert landscape is dotted with an incredible variety of cacti, while ahead you begin to see the amazing rock formations as they reveal various shades of pink, crimson, orange and umber with each turn in the road. 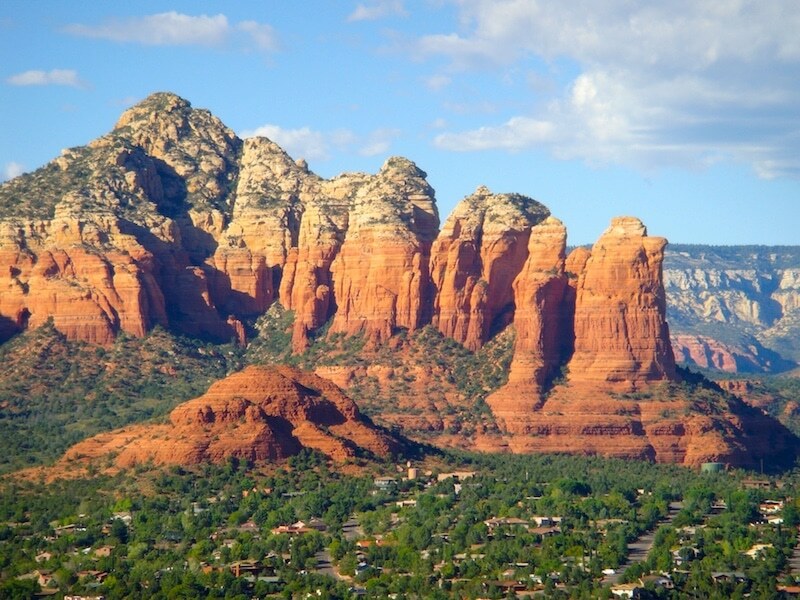 After a stop in historic Sedona, we carry on through Oak Creek Canyon to Flagstaff – on a route ranked by many travelers as one of the most scenic drives in America. Enjoy the evening at leisure. 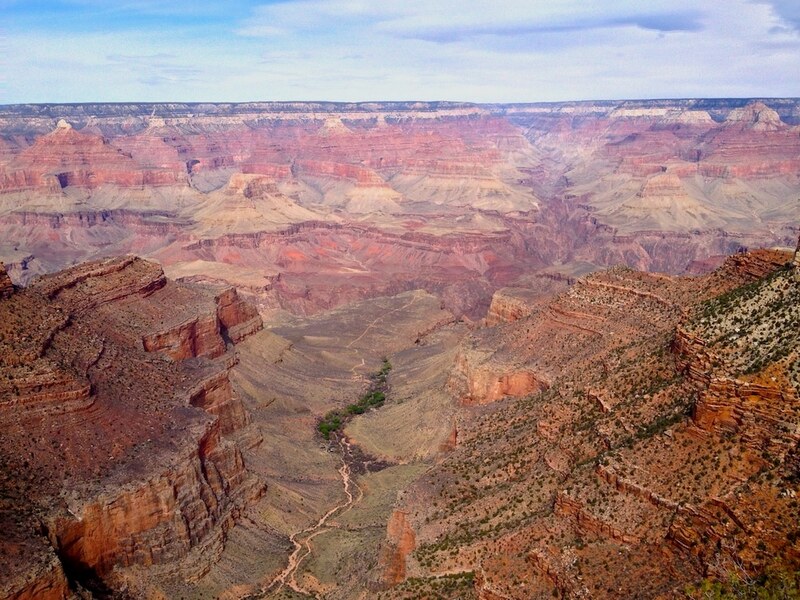 This morning we travel north through the spectacular Kaibab National Forest to the South Rim of the Grand Canyon – heralded by Theodore Roosevelt as “one of the great sights which every American, if he can travel at all, must see.” You’re in for an endless series of breathtaking vistas with time on your own for personal exploring. Later, we travel along Desert View Drive to visit Cameron Navajo Trading Post – a haven for explorers, traders and travelers for nearly a century. Enjoy shopping for Native American crafts and souvenirs, and having dinner here before our return to Flagstaff this evening. Barringer Meteor Crater, about 40 miles east of Flagstaff, is named for mining engineer and entrepreneur Daniel Moreau Barringer, who was the first to identify its probable origins in 1903. Recognizing the crater’s scientific importance and educational value, Barringer took measures to protect it. Today his descendants (who still own the property) maintain the site as closely as possible to its natural state, making it available for scientific research while ensuring appropriate access by the general public. We tour the crater rim and explore the Interactive Discovery Center, where you can learn more about the crater’s history and the fascinating science around meteorite strikes. In the evening, we visit Lowell Observatory, founded in 1894 by astronomer Percival Lowell for his pioneering studies of Mars. Named one of “The World’s 100 Most Important Places” by Time magazine, the observatory has been at the center of many landmark astronomical events, including the discovery of Pluto, the mapping of the Moon for the Apollo program and the first corroboration of the expanding nature of the universe. Enjoy a special farewell dinner before spending some time observing the skies firsthand through the historic Clark refractor. As our Arizona Skies journey comes to an end, transfer to Flagstaff Pulliam Airport (code: FLG) for your flight home or on to further adventures, carrying some truly stellar memories with you. For those wishing to arrive in Tucson early on May 3rd, TravelQuest has reserved a limited number of rooms at Westward Look Wyndham, including breakfast, tax and arrival transfer. 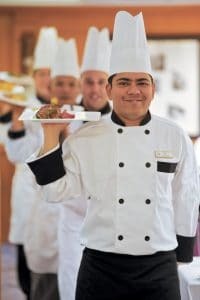 Nightly cost: US$215 per person based on 2 people sharing one room. Add US$205 for single occupancy. Easy/Moderate - Short to medium walks over uneven hilly terrain under easygoing to rugged travel conditions, with varying elevations up to 2285 m (7500 ft). We at TQ want to be sure you find the trip that’s right for the trip that best suits your interests and level of fitness. It is important to acknowledge that seeing the stars above is weather dependent, and TravelQuest can make no guarantees that local conditions will cooperate. All advance payments, less a $600 USD per person cancellation fee, are refundable until February 15, 2019. There are no refunds after February 15, 2019.